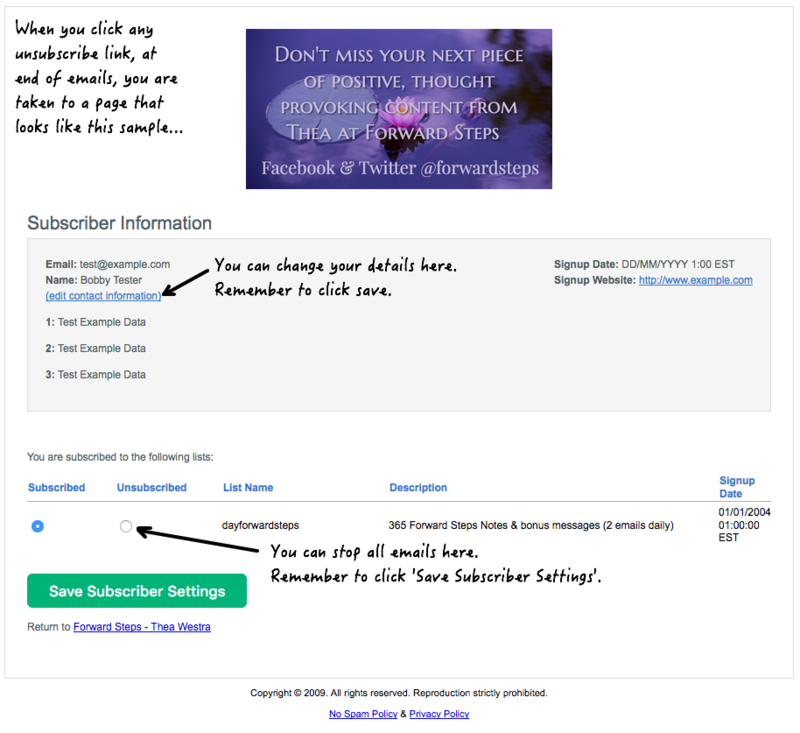 Stay on the mailing list for more great self improvement content and tools heading your way. You are sure to love the “365 Forward steps Notes” series! You’ll be sent one of those each day, plus I send an extra daily email with added specials.